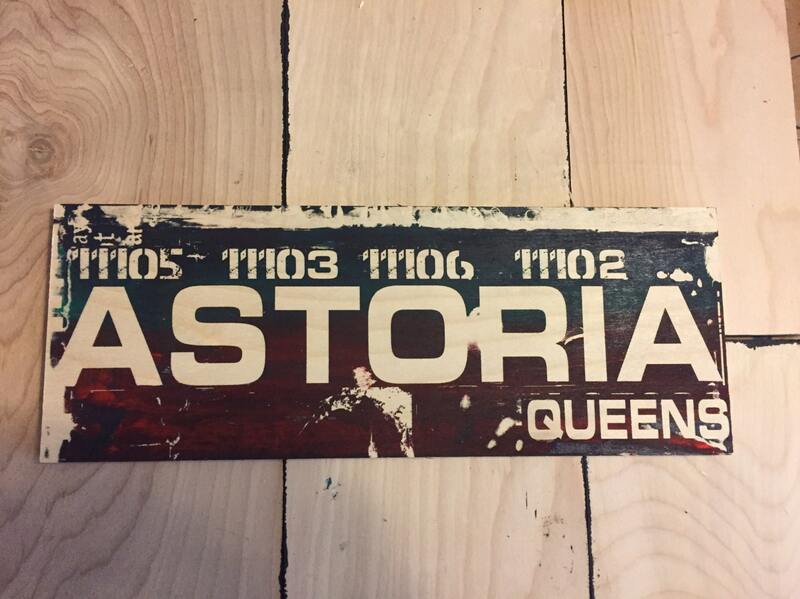 Bordered by the East River, Astoria is one of the most culturally vibrant neighborhoods in New York City. 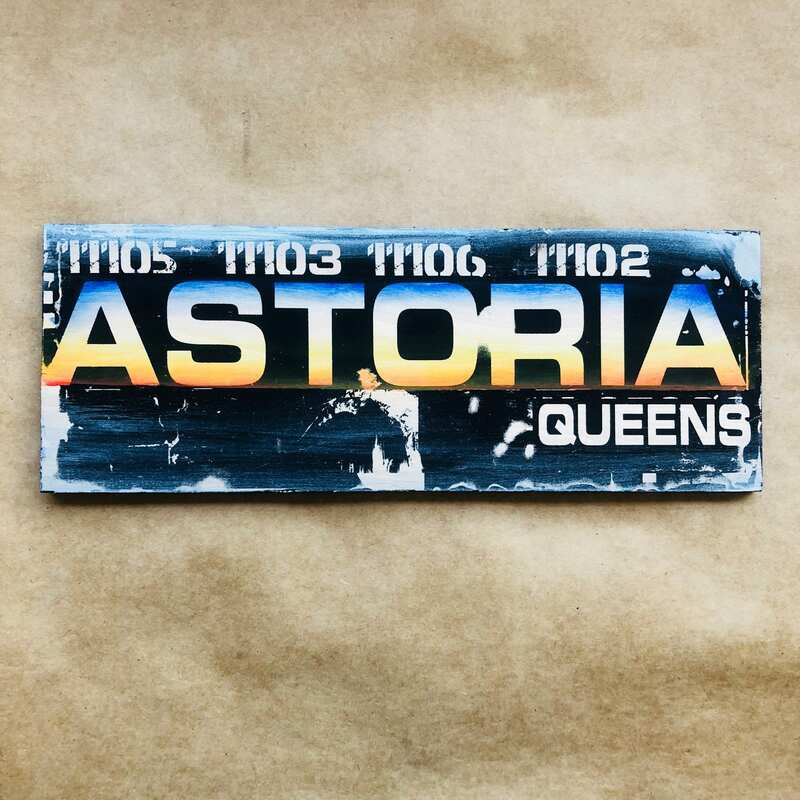 With a long tradition of welcoming incoming immigrant communities, Astoria is a shining example of the spirit of hospitality that has made New York a symbol of the American Dream. Take an F-train and try the Greek food. Silkscreened on wood and ready to hang. Size 5.5 by 13 inches. Enjoy. lightning fast shipping! thanks so much! super cool!! I get compliments on it all the time!